Don’t take a risk by selling your vehicle anywhere else. New Zealand, welcome to a reinvented car selling experience; Cash for Car NZ is a fast and easy way to get cash for cars, with no risks involved. Get rolling! You can sell your used, old, damaged, scrap, running or not-running car for cash in New Zealand today with Cash for Car NZ. Get an offer on the value and worth of your car your car instantly. Once you accept our offer, we’ll come to you or you may be able to drive it to our location, and we’ll pay you cash on the spot! We buy used cars and trucks in New Zealand! Give us a quick rundown of your car, we’ll let you know how much we can pay, and you’re done. It’s fast, easy, and convenient. 1. Simply contact us with the year, make, and model. Call us on 0800 22 40 00 OR submit online form a free quote. 2. In minutes, we’ll give you a best cash offer for your car. Once you accept our offer, we will schedule a suitable time and place for your FREE pick-up. 3. Our removal expert will simply contact you prior to your scheduled time for your convenience and final confirmation. 4. Get paid in CA$H straightaway on the spot when we arrive! Our removal experts pays you cash upon removal of your vehicle. What types of vehicles do you buying? We buy cars, vans, 4WD, SUVS and trucks in any conditions, years, sizes, makes, and models. Do you buy cars that are damaged or not-running? $ – Highest Cash Paid on the Spot. $ – 10 Years in Business! 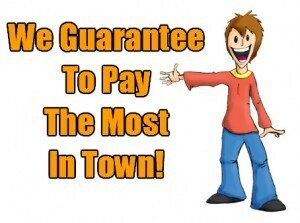 $ – Guaranteed BEST PRICING! $ – GET PAID Instantly in CA$H! $ – Guaranteed customer satisfaction! $ – Paid in Cash NO Cheque! 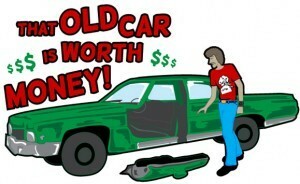 $ – Free Pickup of any Car, Year, Model! $ – We do all the Paperwork! $ – Same Day Service is Available! $ – No Hidden Costs or Fees! We buy all types of used cars, vans, 4WD, SUVs and trucks including, all years, makes and models in any condition. Providing the maximum cash paid on the spot! Cash for Car NZ offers Cash for Cars, specialised in buying and selling of used, old, wrecked, damaged, unwanted, running or not running cars, vans, 4WD, SUVs and trucks – all years, sizes, makes, and models in any condition. With more than 10 years of experience in the cash for car removal business, we pride ourselves on the quality of our swift, honest, expert services. Feel free to contact us today for more information about our cash for car services.